Two properties that we will compare today have a lot in common. They have similar floor plans. They have the same square feet area. They are situated in two beautiful villages of Irvine. Their schools have the desirable range of API and test scores. Both have two Home Owner Association dues. The similarity doesn’t end here, they are both extremely close to ‘Eastern Transportation Corridor’. Shopping districts, proximity to freeways and hospitals is also a tie. Still, there is a price difference of $129,000. Which one would you buy? If you buy 97 Sapphire instead of 68 Hedge Bloom, and make an extra payment of $848 per month (monthly difference in fixed cost of owning), you will be paying off the loan sixteen years early. Also, there is an option of going with a 15 YR Fixed mortgage. But going by the state of economy and the housing market, would you pay off your mortgage early or build an extra savings fund with the same amount? 97 Sapphire sold for $307,500 in 2001. The owner sold it for $579,000 in 2005. Within four years, he was able to make a profit of $249,600. The house earned $62,400 each year of ownership. But it wasn’t a lucky investment for the next owner. In June 2011, the property was listed for $420,000 and the numbers were chopped off on a monthly basis trying to keep in tune with the market trends. In the end, it was a Short Sale for $366,000. The owner lost $213,000 in six years. That is a loss of $35,500 per year. 68 Hedge Bloom hasn’t built an extensive history yet, it was built in 2010. But, 148 Hedge Bloom, another version of the same floor plan, a little smaller can be a good comparison. It was sold at $436,000 in August 2010. But by August 2011 it was on the market, listed at $449,000. The house sold for $410,000 in September 2011. That’s a loss of $26,000 within a year. Another property, 35 Peony was listed for $549,000 in August 2011, and the listing price is revised to $515,000 now. The house is still on the market with a $34,000 discount. According to a listing description, a thousand people registered to buy these Woodbury homes. No takers for barely two year old houses now? A decade ago, people used to share stories of lining up all night at the builder’s office to register for a new home, and buy the best floor plan before it was sold out. These days people share stories of the ‘good deals’ they got, or the ‘good deal’ they are waiting for. Sure, things aren’t as bad as for the rest of the country, but Irvine wasn’t immune to the discounts and price cuts as the Realtors of the Bubble predicted. All of us who toured an open house in 2008 were told that that was the worst Irvine would ever see. Recently Dow Jones climbed to 13,000. The last time it was at 13,000 was in 2008. The stock market has showed signs of improvement and so have other markets. But the same cannot be said about the housing market. The worst might be over, but it isn’t seller’s market yet. Here is a quick comparison of facts from the ‘worst Irvine could ever see’ to the ‘state Irvine is in now’. What do you think about the summer this year? Will it be a buyer’s paradise, or will the seller cash in on low inventory and buyer desperation? This entry was posted in Real Estate Analysis on February 27, 2012 by Cubic Zirconia. While prices have softened… I don’t see a large amount of *good* inventory. Homes with updates, nice floorplans/features and/or great locations still command a premium. This summer will be interesting, especially with Lambert Ranch opening in March. That is true. 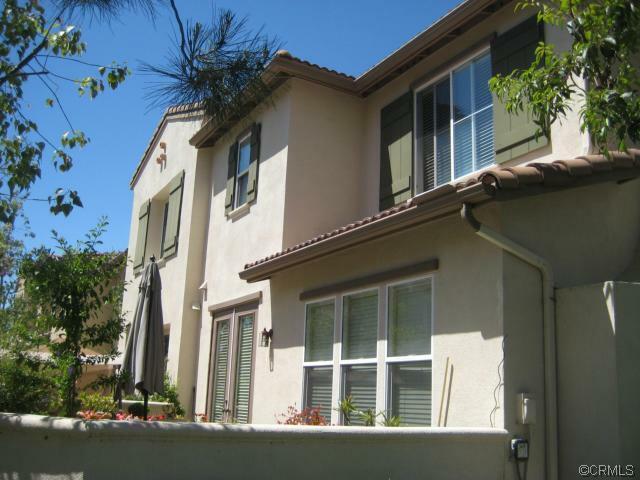 With the influx of new condos it will be hard for the older ones, especially in the West Irvine area. Price will be a decisive factor for many though.